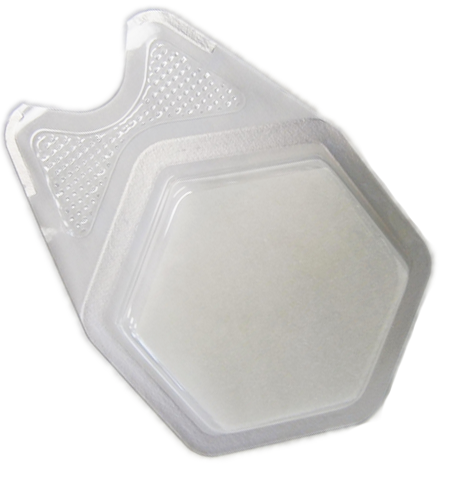 Wound Dressing | Alginate - Hydrocolloid - Hydrogel - Honey - Foam - Silicone - Transparent Film and More! Wound Dressings have evolved significantly over the past few decades. 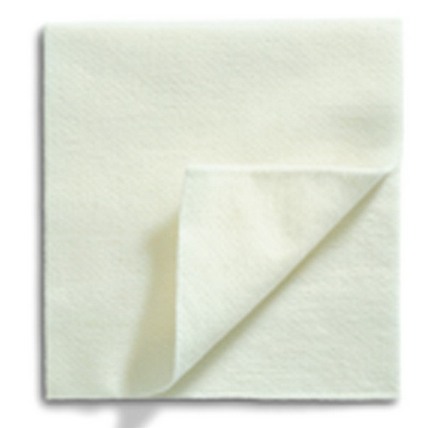 Formerly, different variations of gauze dressings were the staple for wound care. Although gauze dressings are still widely used and effective, there are many new advanced dressings designed to solve specific issues with wound treatment. These modern developments over the past few decades better address specific wound types and their corresponding care. Five major functions for wounds dressings currently exist. 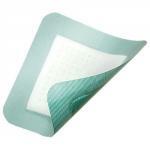 These functions are Debridement, Moisture Management, Wound Protection, Infection Management, and Odor Control. Click on the link "When to Use Wound Dressing" to view different types of dressings and their use. At the bottom of this page is a description summary of the types of wound dressings and a Dressing Selection Chart that displays the different versions of each dressing, types of wounds they are designed to serve, dressing properties and the top selling brands. The right wound dressing encourages healing and prevents possible infection or harm. Wound dressings are different from bandages in that they come in direct contact with the wound and are used to absorb exudate, maintain a moist environment, seal out external contaminants and accelerate healing. 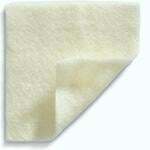 Bandages are generally used to hold wound care dressings in place and are often referred to as a "secondary dressing". Medical dressings can have a variety of functions for wound management, depending upon the type, severity, and location of the wound. 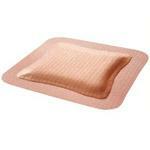 Wound dressing products serve to stem bleeding, absorb exudate, ease pain, debride, protect and reduce stress. Debridement is the process of removing damaged, dead or infected tissue from the wound. Debridement can be selective or non-selective. Selective debridement removes necrotic tissue without affecting living tissue. Enzymatic debridement uses chemical agents to break down necrotic tissue. This is usually accomplished with an enzymatic wound application. In the United States, collagenase ointment is commonly used for this function. SANTYL is the most popular collagenase topical ointment with the active ingredient collagenase clostridum hystoliticum. SANTL requires a prescription to purchase. Non-selective debridement removes necrotic tissue and adjoining living tissue. This type of debridement is accomplished through mechanical or autolytic means. Mechanical debridement may be accomplished through surgery, aggressive irrigation or the use of dry or moist dressings that are replaced often. Gauze dressings are the most used for mechanical debridement. Autolytic debridement uses a semi-occlusive or occlusive dressing and is used for wounds with light to medium exudate. Best selling dressings that provide autolytic debridement include foams, hydrogel, hydrocolloids, alginates and transparent film. 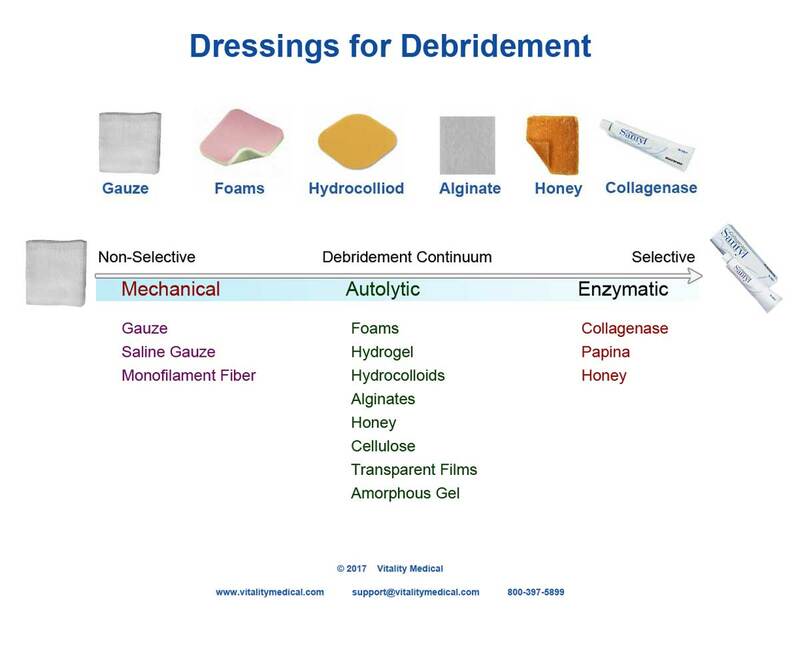 Below is a chart that displays a continuum of dressing treatments that provide debridement. A certain amount of moisture at the wound site is advantageous to heeling. Too little or too much moisture can increase the heeling time and cause complications and infection. The growth of new cells requires moisture to divide and migrate. Exudate or the moisture that naturally seeps from a wound site, serves as a transport medium for a variety of enzymes, growth factor molecules and hormones. Exudate also provides the immune system with an ideal medium to destroy invading pathogens. However, wounds with heavy exudate that leak to surrounding tissue can disrupt peri-wound skin and cause maceration. Enzymes in chronic exudate may cause skin excoriation. 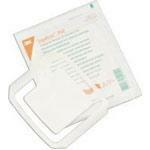 Absorbent dressings are designed to absorb exudate and keep it from festering upon the wound and skin. Most are multi-layer dressings comprised of either a semi-adherent or a non-adherent layer. These layers are usually made up of fibers that absorb the exudate. Some absorbent dressings use a substance that converts to a gel on contact with exudate, trapping them within the confines of the dressing. 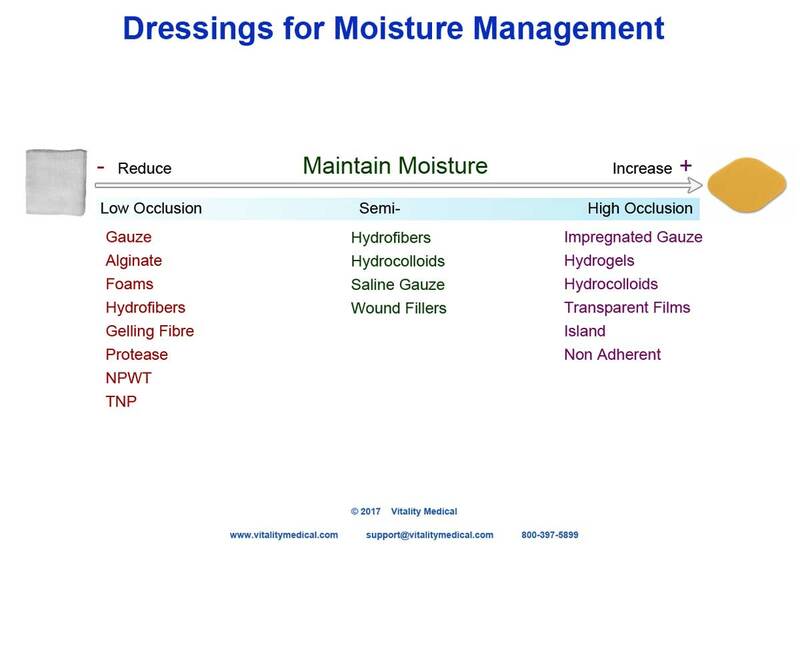 Below is a chart displaying the different types of dressings and how they serve in managing moisture in the wound environment. This continuum of absorption management portrays the high absorption products on one end and the low absorption products on the other. The products in the middle are somewhat balanced between heavy and low absorption properties. Some products span two properties, such as hydrocolloids. The dressings are also divided by the level of occlusion--sealing the wound from the external environment. Made from seaweed, alginates are contact dressings. When alginate comes into contact with exudate, it turns into a gel. 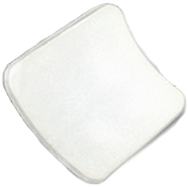 Alginate can absorb up to 20 times its own weight and are an excellent absorbent dressing. Sometimes offers stinging or discomfort. 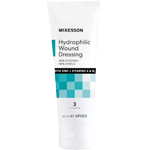 Made from carboxymethylcellulose, this product absorbs exudate and prevents damage to surrounding skin. 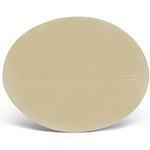 It is a good choice for heavy to moderate exuding wounds and may be used for extended periods. Provides autolytic debridement of slough and necrotic tissue. Can adhere to the wound if not enough moisture. 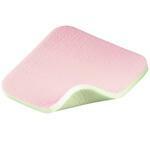 Foam dressing are made with many different materials that provide good absorption. 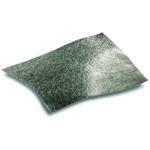 These products provide wound protection and help to maintain thermal temperature. They are highly conformable and are available in many shapes and sizes. 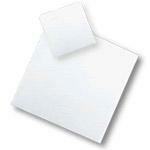 They are also available in cut-to-fit sheets and wound filling shapes. Some are also available with an adhesive border to anchor in place. 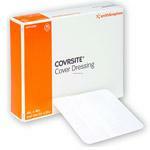 They are often combined with other dressing types such as alginate and cellulose fiber. May cause maceration if allowed to saturate. Sometimes requires a secondary dressing. These products are made with gel-forming agents. They offer water repelling and are self-adhesive. They absorb exudate and are available in many different shapes and come in different thicknesses. This product should be changed every 3 to 5 days. May promote the growth of anaerobic bacteria. Not the best choice for patients with fragile skin. May be difficult to stay in position. These products are made with materials that have high water content. They help hydrate the wound and offer autolytic debridement. They are used on mild to moderate exudating wounds. Hydrogels are available in several different formats, including flexible sheets, impregnated gauze and gel that is applied by a squeeze tube. Some applications provides visual of wound. Do not use for heavy exudating wounds. May cause maceration to surrounding skin. May require a secondary dressing. These products are made with solid silicone that is soft and tacky. It easily adheres to the skin and to difficult body areas. They are easily removed without producing pain and can be reused. 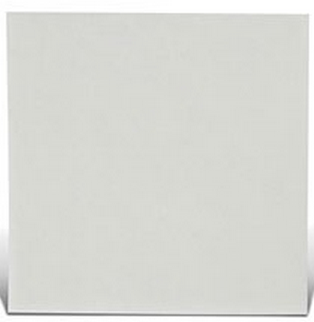 They are available in foams with and without adhesive borders. 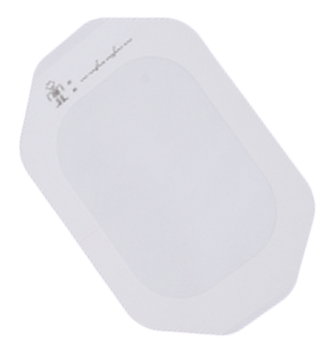 Silicone also comes in sheets and semi-transparent films. Atraumatic to the wound and surrounding skin. Some people have allergies to silicone. Foams – Tegaderm, Coflex, Copa, Dermaform, Xtrasorb, Polymem, Respara Restore, Mepilex, and Allevyn. 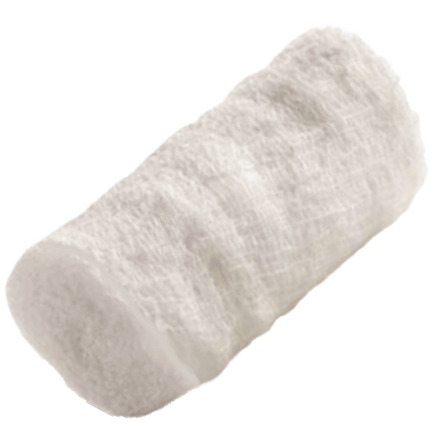 Gauze – Excilon, Dynarex Surgical Sponge, Dynarex Advantage, Advant, Post-Op, Curity Cover Sponges, Sorb-It, Dumex, and ReliMed Gauze Sponge. Alginate – Medihoney Calcium Alginate, Biatain, Sorbalong, Maxorb Extra, Restore Calcium Alginate, Curasorb Calcium Alginate, AlgiSite M, Simpurity, CollaSorb, DermaGinate, Allevyn, Melgisorb, Tegaderm Alginate, Sorbsan, Nu Derm, Cutimed Epiona, Kalginate, and Maxsorb Extra. Gelling Fiber – KerraCel, Durafiber, and Manukamed Manukahd Lite. Protease – Mextra and Sorbion Sachet. NPWT – Argentum, Restore Contact Layer Flex, Acticoat Flex, Medela, Genadyne, and Safetac. 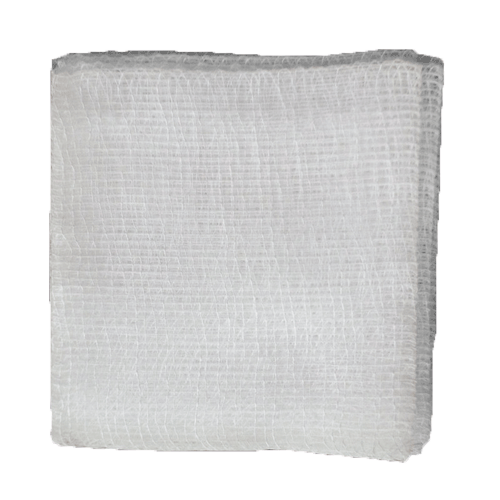 Impregnated Gauze – Activon Tulle, AquaSite, and Mesalt. Hydrogels – SoloSite, Skintegrity, Multidex, Triad, DermaGran B, DermaGran Hydrophilic, Hypergel, Tegaderm Hydrogel, TheraGauze, DermaGauze, Regenecare, Aquaflo, B6, AquaDerm, Carrasyn, elta Dry, Hydress, CarraGauze, WoundPal, and DermaGel. 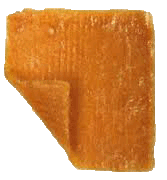 Hydrocolloids – Comfeel, Duoderm, Medihoney, Xtrasorb, Flexicol, Restore, Exuderm, and Nuderm. 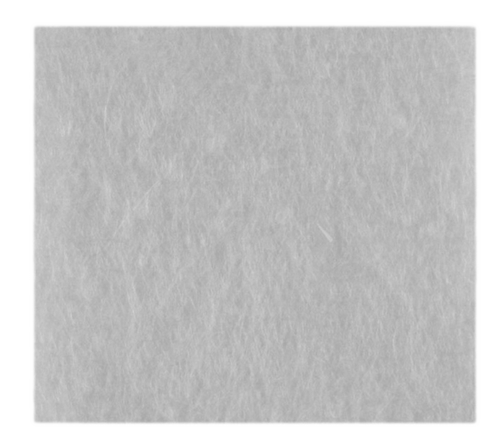 Transparent Films – Tegaderm, Polyskin, DermaView, Repara, Hydrofilm, and Opsite. Island – Telfa Island, DermaView II, McKesson, TheraBond, COPA Island, Rayon Poly, and CompDress. Non-Adherent – Xeroform, Telfa Ouchless, Telfa AMD, Medi-Pak Performance, Adaptic, Conformant 2, Cuticerin, Curad Non-Stick, Drawtex, Versatel, Advazorb Silfix, Tegaderm Contact, and Allevyn Non-Adhesive. The ability of a dressing to seal out external contaminants is offen refered to as its occlusive property. An occlusive dressing seals the external enviroment from the wound. Occlusive products include impermeable films, polymer oils like petrolatum and paraffin and many dressings with a combination of adhesion and a barrier layer. Occlusive dressings provide a moist wound environment that promotes healing. 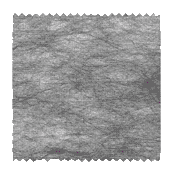 They are impermeable to water vapor while simi-occlusive allows moisture vapor to escape. Semiocclusive also offer many advantages to wound healing by permitting vapor evaporation. Air inteface during the final maturation of the stratum corneum offers better healing results. Rather than relying upon a single solution for the entire wound healing process, beginning with an occlusive dressing during the early healing stages, followed by a semiocclusive dressing for the later healing stages appear to offer the best wound management. 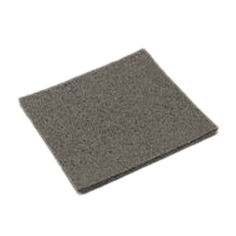 These types of products often incorporate foams that offer a thermal barrier as well as protection against accidental bumps. They provide excellant absorption of exudate but are not condusive to healing in the latter stages when the wound is drier. 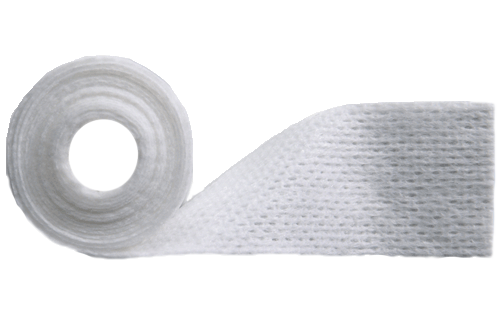 Adhesive bandages are very useful to seal out contaminants while securing an absorptive dressing against the wound bed. Impregnated dressing create a liquid or gel barrier against the wound with sealing properties and well as creating a moisture environment. 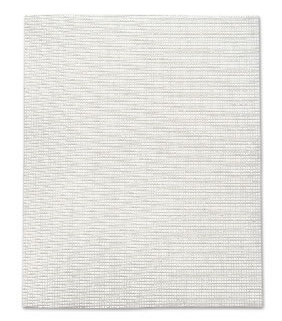 Gauze is the most popular dressing in use. The newer transparent film dressings offer greater management and control of the wound environment to keep out external contaminants while allowing excess moisture vapor to escape. They also provide for wound observation to allow dressing changes when they are actually needed. In a few cases increases infection rates. The chart below displays a visual breakdown of the permeable and impermeable dressing choices. As mentioned in moisture management, healing occurs best in a moist environment. However, amoist environment also supports the growth of bacteria, leading to infection. Antimicrobial dressings are mostly used when an infection has already occurred. Medical honey is the exception in that it inhibits the growth of pathogens and may be used for at-risk patients to prevent the occurrence of an infection as well as treat. These dressings are impregnated with one of the four common antimicrobial agents. These agents are a derivative of iodine, silver, honey, or polyhexamethylene biguanide (PHMB). Popular iodine treated dressings include Cadexomer, Providone, Iodophor or Polyvinylpyrrolidone. Cadexomer is particularly noteworthy because of its absorptive properties. As fluid is absorbed, iodine is slowly released to kill bacteria. This allows a gradual release of iodine over a prolonged period of time for increased infection fighting effectiveness. Conforms easily to wound bed. Progressive release of antimicrobial agent. Contraindicated for pregnancy, lactation, thyroid disease, iodine sensitivities. Not effective for large wounds. Prominent Iodine Products: Idoflex Cadexomer, Betadine Povidone, Iodosorb Caderxomer, and Skincote. Silver is an agent for broad spectrum antimicrobial effectiveness. It is applied to many types of dressings, including foams, films, hydrogels, gelling cellulose fibers and alginates. It has anti-inflammatory properties and may be used to treat wounds for 2 to 3 weeks. Cannot be used with other antimicrobials or normal saline. Sometimes masks signs of infection. Popular Silver Products: Mepilex AG, Sivercel, PolyMem Silver, Biatain AG, Algicell AG, Acticoat Flex, Aquacel AG, Allevyn AG, and Tegaderm Silver. Medical grade honey is comprised of carbohydrates, enzymes, and amino acids that promote healing. Additionally it has acidic pH properties that inhibits many pathogens. It is used in gels, ointments and sheets. Promotes a moist wound environment. Perceived risk of costridium botulism. Sometimes leads to skin maceration. Should only be used for short periods of time. Well Known Medical Honey Products: Medihoney, Activon, and TheraHoney. PHMB is effective against a wide variety of pathogens, including HIV. It is used on many types of wounds, including partial- and full-thickness wounds, exudating and dry wounds. May be used on both dry and exudating wounds. Should not be used to prevent infections. Restricted to 2 weeks duration. May lead to resistant bacteria. Respected PHMB Products: Kendal AMD PHMB and Covidien Telfa Antimicrobial. 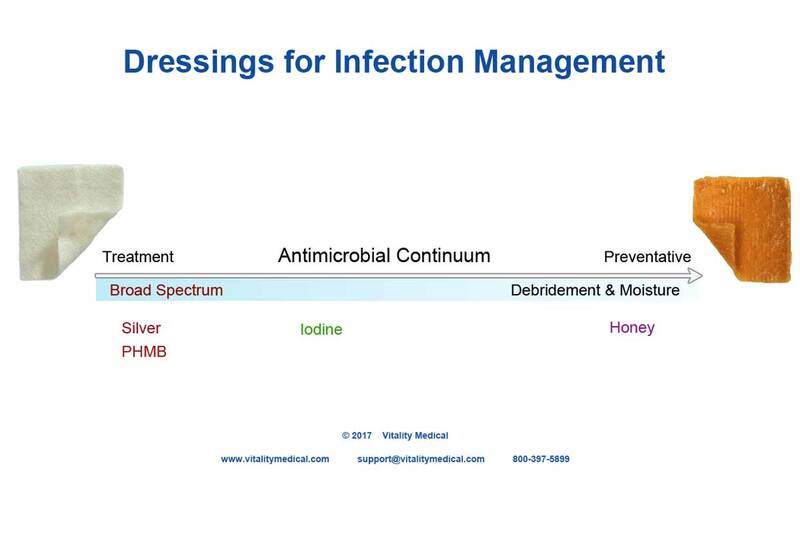 The infection management chart below displays a continuum for antimicrobial dressings. Odor from wounds is created from the release of volatile molecules released. Certain types of wounds are more likely to produce odor. These wounds include leg ulcers and cancerous lesions. The most effective way of dealing with malodorous wounds is to prevent or eradicate the infection responsible for the odor usually with an antimicrobial. It has been found that bacteria fighting dressings are not always the best solution. 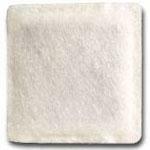 In the mid 1970’s the use of a charcoal cloth within a dressing pad or gauze was found to be effective against odor producing wounds. 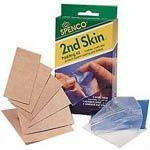 These wound products are designed to act like filters or traps to absorb odor-causing molecules. Charcoal absorbs unpleasant smells from wounds and is a widely used as a deodorizing agent. It works by absorbing odor molecules onto the surface area of the activated charcoal. Honey has also been found to decrease odor and is effective in treating abscesses, diabetic foot ulcers, leg ulcers and fungating wounds. Honey provides antibacterial action in vivo and in vitro against anaerobic bacteria that causes odor. Honey also provides glucose as an alternative to amino acids created when serum and dead cells are metabolized by bacteria. As a result, lactic acid is produced as compared to the malodorous ammonia, amines and sulfur compounds that contribute to odor. Cyclodextrin is another method used to neutralize odor. Cyclodextrins work optimally in the presence of wound exudate and requires a moist wound environment to work effectively. Cyclodextrins intrinsically have a longer active time of odor absorbing function. This compound works well when combined with a hydrocolloid dressing. May be used as a primary dressing. Cannot be cut to fit wound size. Often requires a secondary dressing. Respected Odor Control Products: Actisorb Plus, Carboflex, Carbonet, Lyofoam C, Release, TheraHoney, Activon, Medihoney, and Exuderm. 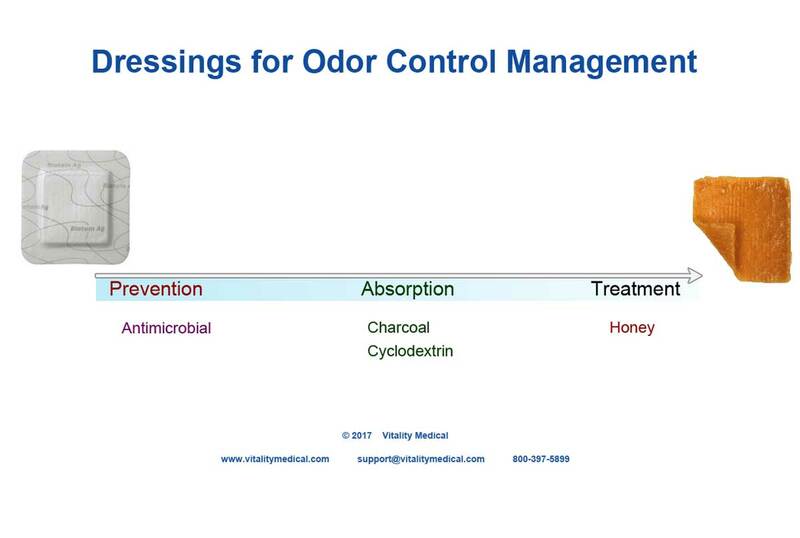 The chart below displays a continuum showing how these three odor control products match with wound treatments protocols.